According to the Pirate Bay’s Swedish domain registrar, Binero, the world famous torrent site is being investigated by the Swedish authorities after they received requests to release the personal details of the person who registered the site’s new .se domain name. 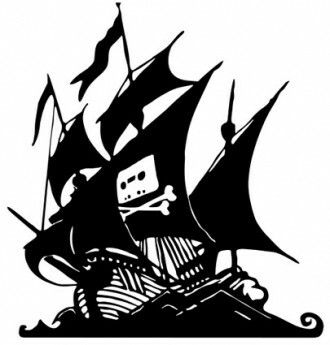 "We can confirm that an investigation is underway against The Pirate Bay," Binero's marketing manager, Erik Arnberg, said when speaking to TorrentFreak. "We received a letter with questions." The company has confirmed however, that they refused to comply with the request and will not do so until a warrant is issued. Despite this news, a recent blog post by the team at TPB said they had been aware of this new investigation as early as 2010: "Information has been leaked to us every now and then by multiple sources, almost on a regular basis. It's an interesting read. We can certainly understand why WikiLeaks wished to be hosted in Sweden, since so much data leaks there." They went on to say that the information was mainly leaked by whistleblowers that were in disagreement of the investigation by law enforcement authorities. "Something that the governments should have in mind - even your own people do not agree." The first investigation, started back in 2006, concluded last month after their final appeal was rejected. The four defendants found guilty of copyright violations in the original high-profile trial face jail time and orders to pay around $6.8 million in damages. The Pirate Bay website has pretty much remained online since the convictions, but the site did change to the new .se domain around the same time of the appeal decision. Since those days, many changes have been made to the way the service is now hosted, with the current operators of TPB stating that there is no one single location of the servers. "TPB is set up in a very special way to make sure that it will stay up," they said. "This means that no one really knows exactly where the servers are, but we've made sure to stay out of the United States of Arrogance and some other countries where the governments do not like free speech." Swedish district attorney Fredrik Ingblad confirmed that the government is "interested in torrent sites," but would not devulge further details. It is not completely clear why TPB is being investigated a second time, but the operators of the site believe the recent purchase of the .se domain has heightened their interest.